"Egypt in Transition" -- L'Égypte en mouvement -- was the title of a famous book about the 1952 revolution published shortly afterward by Jean and Simone Lacouture, and the phrase is just as descriptive today, sixty years later. Since January 2011 Cairo has seemed like maybe the most exciting and hopeful place in the world right now, despite the chaos and the serious doubts about the future. And though there was a lull for a while, revolutionary fervor has recently returned to the country. Egypt is in transition, though where it is going nobody can really know. First, there was the cacophony and multiplicity of presidential campaigning, with the emergence of a multitude of highly diverse and changing candidates -- some coming and going, being disqualified and then getting back in, and nobody talking of anything else. It was crazy but it was exciting. But some radicals refused to vote at all, saying, not without logic, that a presidential election without a new order and a new consititution was a sham and would have no force. 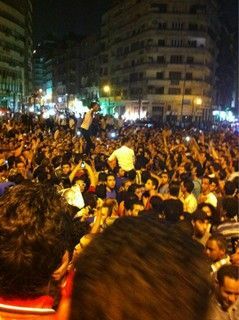 The elections were held May 23rd and 24th 2012 amid great excitement, despite the absence of a new constitution to provide for a clear succession and a decisive break with the Mubarak regime. The field seemed wide open though there was disorder in the seemingly arbitrary qualification and disqualification of candidates. There were nine major and three minor candidates, plus four powerful figures who were ultimately disqualified. Then came the disappointment of many when the votes were counted and the two leading candidates, who are to have a runoff in mid-June, emerged. They were Mohamed Morsi, chairman of the Freedom and Justice Party (a representative of the Muslim Brotherhood), and Ahmed Shafik, a retired general and member of Mubarak's government who was briefly appointed Prime Minister by Mubarak just before he was forced to step down. The "binary choice" of two men returned the people to the old option -- either a remnant of the Mubarak regime (or its counter-revolutionary agent) -- or a representative of its longtime conservative religious opposition. Shafik is clearly a relic of the dictatorship, and the Moslem Brotherhood Morsi comes from has been losing its credibility for its collaboration with the regime during the revolution and in its immediate aftermath. All this excitement and energy to come up with the same old faces -- the regime itself and its long-time, conservative religious opposition? Many public demonstrations of outrage and disappointment have followed. The fact is that though Morsi got 24.3 percent of the vote and Shafik 23.3 percent, 40 percent went to revolutionary candidates. Hamdeen Sabahi, a Nasserist socialist, occasional member of parliament and often-jailed dissident, got over 20 percent of the vote. How is the will of the 40 percent going to be represented -- and what position will a freely elected president have if the Supreme Council of the Armed Forces is reluctant to turn over the reins to a civilian government in Egypt? Perhaps a ruling Muslim Brotherhood may in effect establish a coalition government, but what the Supreme Council will do and how its claws will be removed from the whole fabric of the country remains very uncertain. 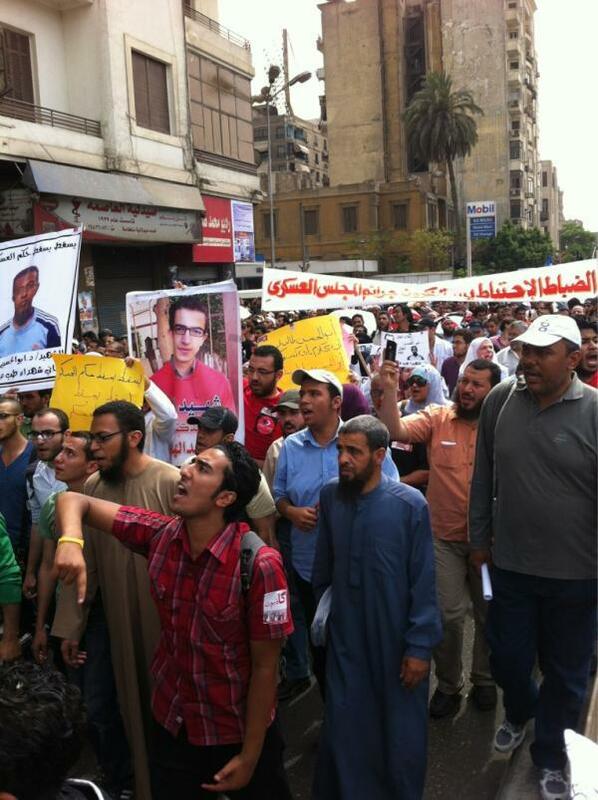 After the verdict was announced chants of "Batel! Batel!" (Illegitimate!) were heard in the streets. 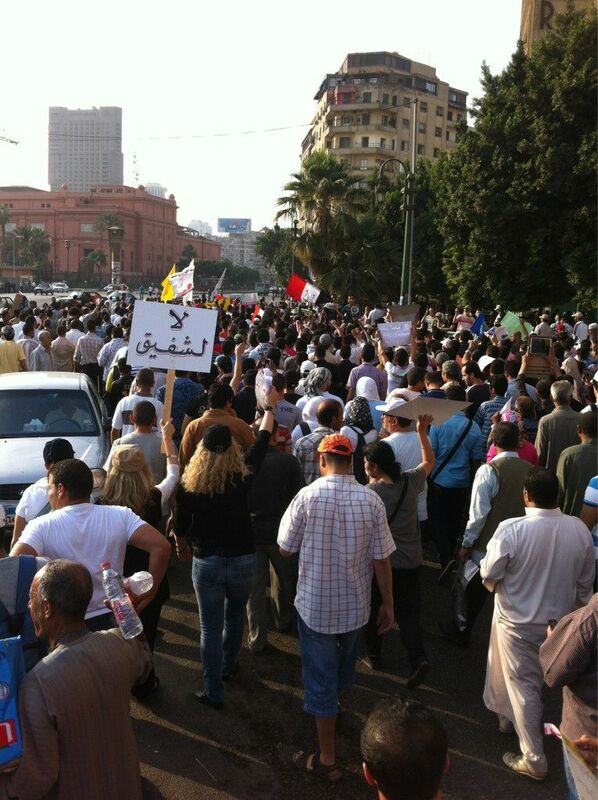 Tahrir Square has been filling with big crowds again and again. 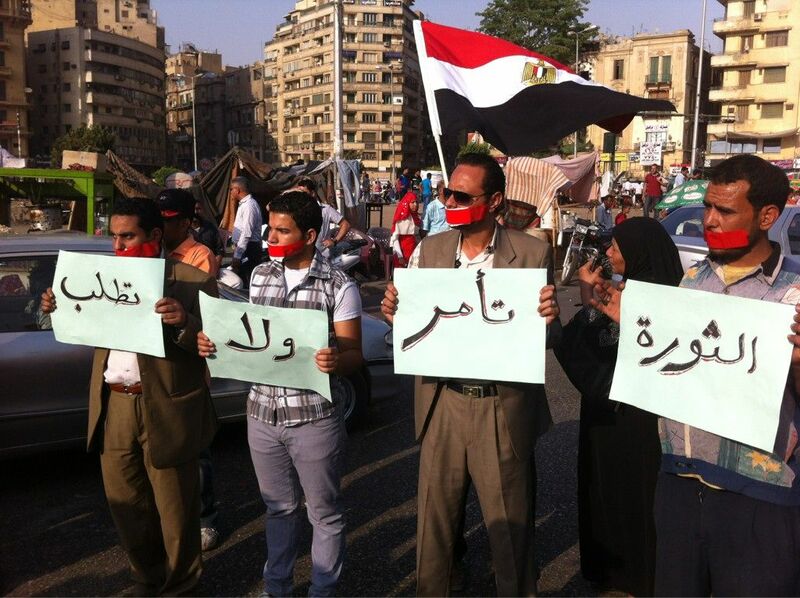 Banners called for the ouster of the Mubarak-appointed prosecutor general who oversaw the sentencing. "The people demand the cleansing of the judiciary," was the chant in the street as people marched from the Supreme Court building to the square June 2nd. This trial was one more clear and present sign that the old regime was still in force, running the country. And since Shafik so clearly represents the old regime whose lingering influence explained the unsatisfactory trial, sentiment turned against him and crowds of demonstrators demolished his campaign headquarters and set fire to it. Everything is clearly a mess, and these events seem half-baked and inconclusive. But the old regime, however strongly its remnants survive, has been challenged to its core. The people remain out on the streets voicing their opinions from minute to minute. Various political factions are in constant activity. In that essential respect things are very different. Democracy Now's Cairo correspondent Sharif Abdel Kouddous (whose tweets have been a moment-to-minute record of these events) is wise to insist on calling what's been happening in Egypt so far an "uprising" rather than a "revolution." Clearly the events that began January 25, 2011 have yet to lead to a lasting change of the old order. Still, as long as the voices of virtually nonstop street political activism remain strong and the political organizing remains intense and open, there seems much reason for hope. This vibrant population has something to be excited about, not least the right to protest immediately against actions they deem unfair. It is this keen minute-to-minute sense of right and wrong and the will to immediately and unhesitatingly make known their feelings about it that gives an outside observer a feeling of heady excitement about the state of affairs in Egypt right now, despite the unsatisfying recent outcomes. Of course this is all part of a movement known as "The Arab Spring." 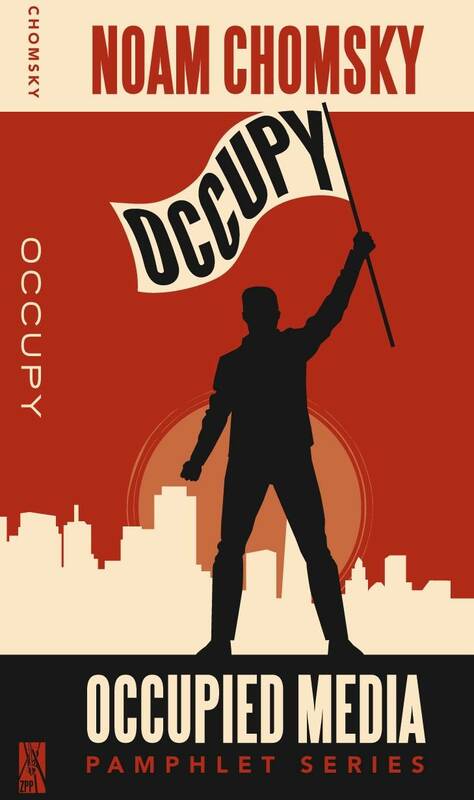 It can be an inspiration for us, emboldening us to fight at the grassroots level (particularly through the Occupy movement) against developments in politics and economics that have concentrated power and wealth over here in "the one percent" -- an accelerated economic trend that Noam Chomsky has recently called "a dagger pointed at the heart of the country." If not fought, it could lead to "a period of irreversible decline." Certainly events in Egypt today show the Arab Spring like the Occupy movement is going to be "a long, hard struggle" (again Chomsky's words). But the state of fluidity and popular involvement in Egypt provides hope for the struggle against our own dictatorship of the rich.